Here are some pictures from around the snow palace. 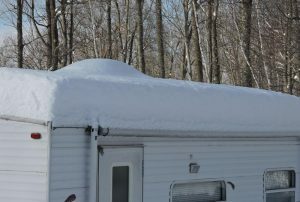 The first one shows the snow load on the roof of the camper. 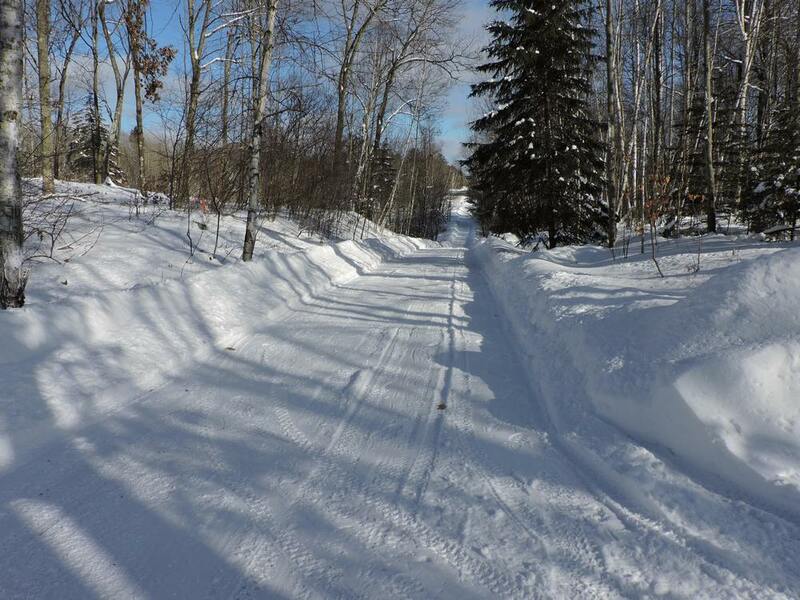 The next one is the path cleared back to the wood yard. 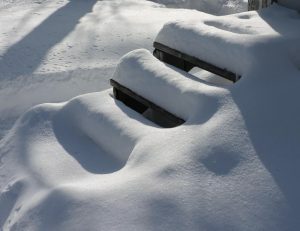 The back steps were cleared before yesterday’s snow. 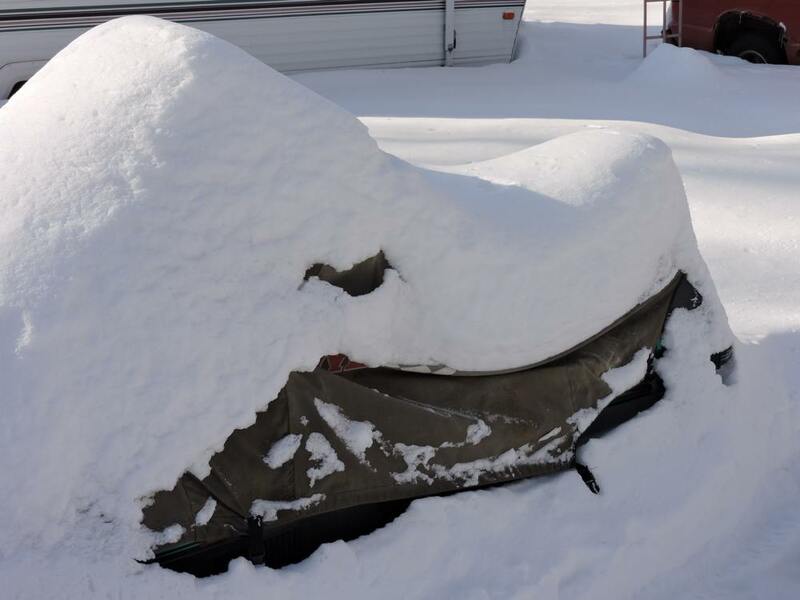 The snowmobile is wearing the last 2 snows. The last two are my 1/4 mile private road. 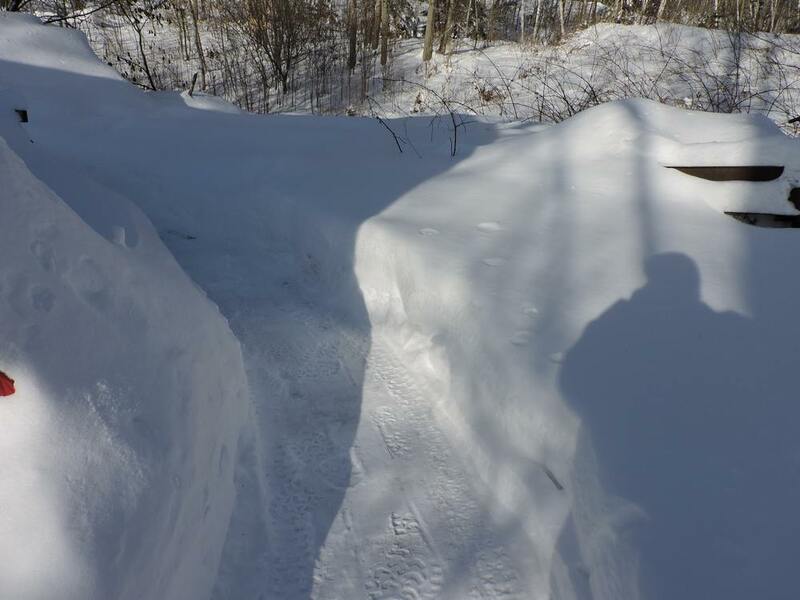 There are parts of it that get narrow and I have to do with the snowblower because the plow truck can’t throw the snow over the banks that are two feet or higher. We have snow. 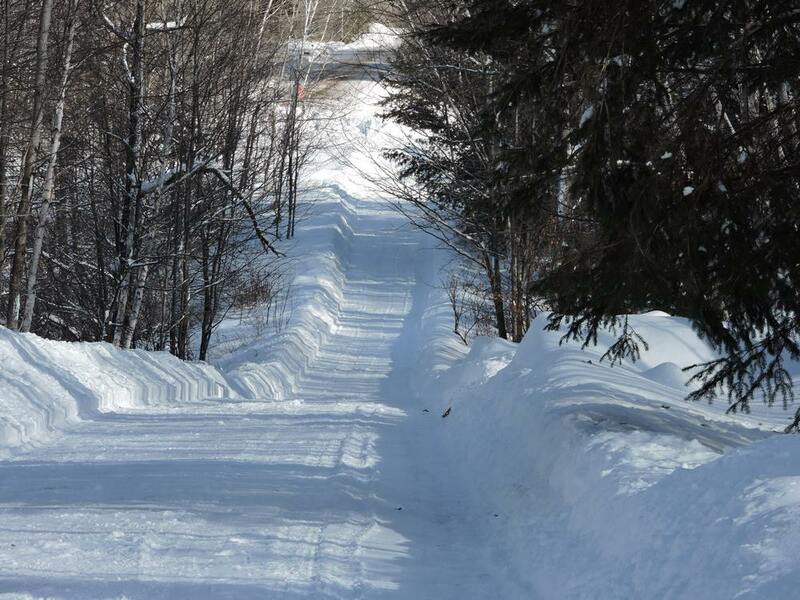 I am expecting a good number of riders to hit the trails this weekend. The weekend of the High Falls Fish-O-Rama is usually busy. I expect to be at Rapids from 12-4 or later Saturday and I am not sure about Sunday. If you are around stop in and get a group picture. If I don’t ask you, please ask me! This is pretty good snow for an El Nino year! The wind behind the storm was very strong. 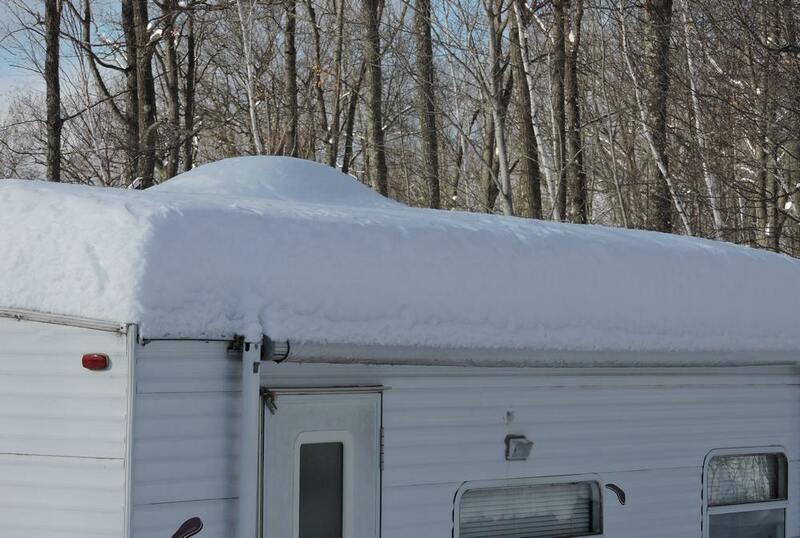 We had a lot of blowing and drifting. The measurements that I took on the upper driveway were 5″+. There were drifted areas a lot deeper.